While the cake is cooking make the lemon syrup. Place the lemon juice, sugar and ¾ cup water in a small pan. Stir until sugar has dissolved then bring to the boil. Simmer for 10 minutes or until thickened and reduced. 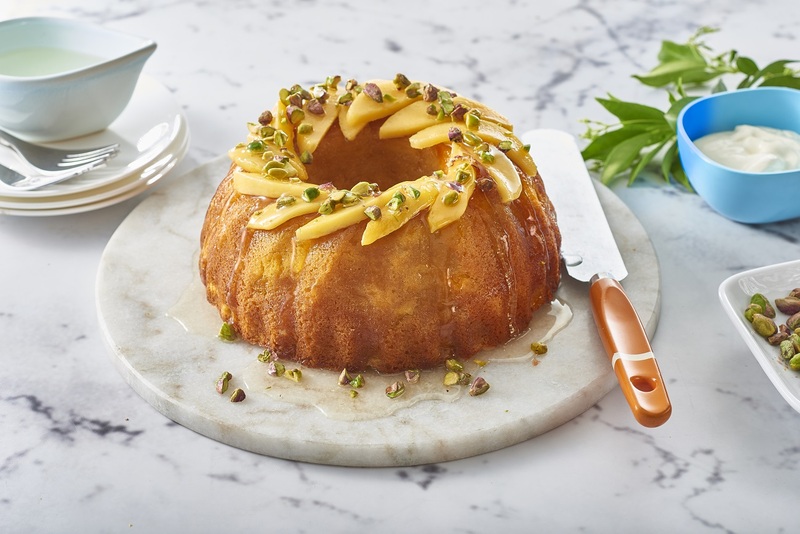 Transfer the warm cake to a serving platter and garnish with pistachio and extra sliced mango. Pour over the warm lemon syrup and serve with greek yoghurt.